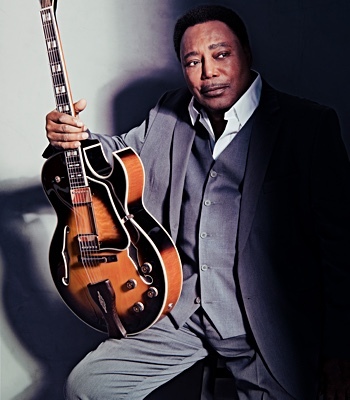 Born in Litchfield, Connecticut in 1937, he began performing on alto sax at age 6 in his pianist father's family band along with his brother and sister. Mark got his union card at age 12, when he added tenor sax and clarinet to his arsenal, and throughout high school he honed his skills performing with a host of dance bands around Connecticut. After the Army Mark returned to Connecticut, determined to work on developing his own thing. He rehearsed with local musicians interested in exploring improvisation - bassist Mario Pavone among them. He played in various clubs around the state and in New York City and worked in a studio recording backgrounds for Sire Records vocalists' for a couple of years. Then in the mid and late 1960's he did his first recordings with vibist Bobby Naughton on Otic Records, Nature's Consort and Understanding. Throughout the 1960's Mark traveled to New York City more and more to hear the music in the clubs and to rehearse with other players he knew from Connecticut and who he was meeting on his trips to the City, such as trumpeter James Duboise, drummer Laurence Cook, and clarinetist Perry Robinson. In 1969 Mark came down to New York City to attend John Coltrane's funeral and decided to stay. 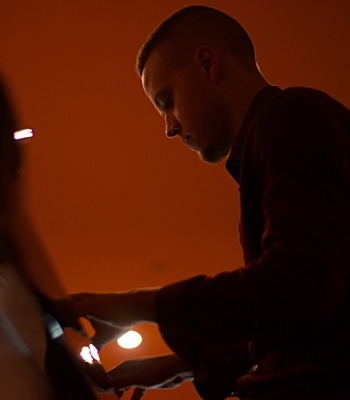 Perry Robinson was one of the first musicians Mark met after moving to New York, and Perry introduced Mark to multi-instrumentalist and composer Gunter Hampel. That introduction led to Mark's 10 year association with Gunter and his Galaxie Dream Band, which toured Europe every spring from the mid-1970's to the mid-1980's. Gunter released a large number of recordings on his Birth label documenting this period and Mark is on a number of them, including Angel, I Love Being With You, and Journey to the Song Within, among others. The Dream Band featured the incomparable vocalist Jeanne Lee, and many other great musicians passed through the band, including Perry Robinson, Marion Brown, Jack Gregg, Toni Marcus, Enrico Rava and Anthony Braxton. Also during this time Mark played for several years in bassist Saheb Sarbib's big bands and quartet. In 1979 the quartet toured France and one of Mark's favorite records, UFO! Live on Tour on Cadence Jazz Records, came out of this tour. The loft scene in New York was burgeoning during the mid and late 70's and Mark was an ever-present voice during those days. He appeared often at Environ, Sunrise Studio, the Brook, Center for the Exploration of Consciousness, Rivbea and Ali's Alley, meeting and playing with other forceful, creative players performing their music their way, outside of the club scene. Sunrise Studio was where Mark began his long association with drummer Robert (Mike) Mahaffay. 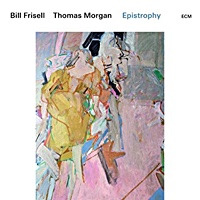 Some of the loft music of that time was documented by Gunter Hampel on his Birth label, and by pianist/painter John Fischer on his Composer's Collective and ReEntry record labels. Fischer's records featured his band INTERface which included Mark, Perry Robinson, Arthur Blythe, Charles Tyler, Phillip Wilson and Rick Kilburn. The lofts were also essential for modern dancers exploring improvisation at that time, and Mark was part of this scene as well. He was in musical groups working with the 1970's experimental dance pioneers Barbara Dilley, Mary Overlie, Nancy Green and Cynthia Hedstrom, and the groups Collected Works and the Construction Company. He also performed with the Darius Brubeck Ensemble when they performed live for the premiere of Murray Louis' Glances at the 1976 American Dance Festival at Connecticut College. The ensemble, which included Perry Robinson and percussionist Muruga, played the music of Dave Brubeck. During the early 1980's Mark's joined Perry Robinson's clarinet project, Licorice Factory. Over several years the band performed in New York and featured some of the area's finest clarinetists, including Tony Scott, Kenny Davern, Eddie Daniels, Dewey Redman, and Gunter Hampel. They made one recording in 1985, Licorice Factory, on Jazzmania. It was also during the 1980's that Mark, through his association with drummer Robert (Mike) Mahaffay, the founder of Sunrise Studio and composer/performer with Jean Erdman's Theater of the Open Eye, Valerie Hammer Project and Contemporary Mythmakers, met the sculptors Bernard and Francois Baschet who built elaborately beautiful sound sculptures. The otherworldly sounds and breathtaking designs of their sculptures influenced Mark, who enjoys working with his hands, to design and build his own sound sculptures. Each sculpture has its own scale, its own feel, he says of the instruments he built. I don't even write compositions; I just get the best improvisers I can find to play them. Mark formed a group, the Glass House Ensemble, to realize the music he created with his instruments, and the group performed from 1988 to 1997 at various venues in New York. Mark traveled to Europe with his sculptures in 1986 to do a solo tour in Switzerland and Germany. The decade of the 1990's was a productive period for Mark. 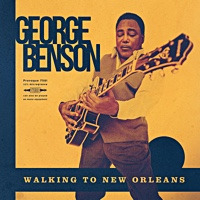 He toured and performed with a variety of bands and his recording output swelled with releases on CIMP, Cadence Jazz Records, Leo, GM Recordings and his own label, Acoustics. At the beginning of the decade Mark worked a great deal with pianist Michael Jefry Stevens and bassist Joe Fonda. 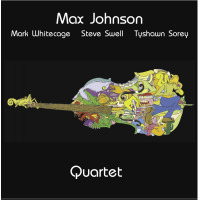 They, along with Dave Douglas and Peter LeMaitre, were members of Mark's quintet Liquid Time, which released a very well received CD, Mark Whitecage & Liquid Time, in 1990. After Peter's untimely death shortly before the release of their CD, Mike Sarin ably filled the drum chair. 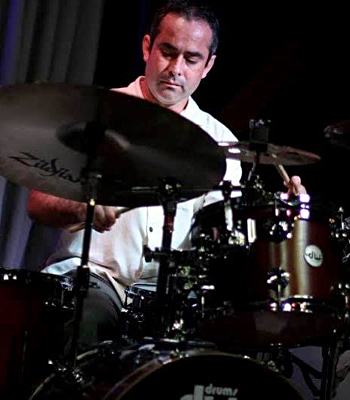 Two memorable guest artists with Liquid Time in 1992 were Latin masters Carlos Patato Valdez and Manny Duran, who appeared with the group in a series of concerts at New York's New Music Cafe. Mark Whitecage & Liquid Time was the first in a series of Acoustics releases that Mark and his wife, photographer/clarinetist Rozanne Levine, continue to put out to document their music. Mark traveled to Europe several times with Michael and Joe as a member of The Fonda/Stevens Group, which included trumpeters Herb Robertson and Paul Smoker and drummer Harvey Sorgen. The Group released a number of CDs in the 90's that featured Mark, including Evolution, Live from Brugge, Parallel Lines and The Wish. 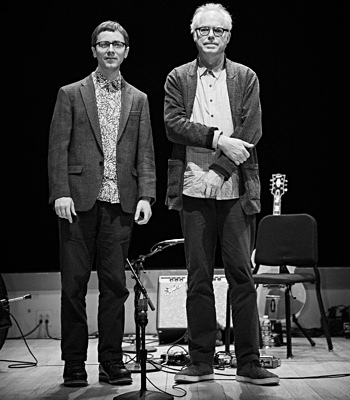 In 1995 Mark renewed his musical acquaintance with Anthony Braxton, with whom he had played and recorded when they were in Gunter Hampel's Galaxie Dream Band in the 1970's. Mark joined Anthony's Quartet and performed with them in New York and Connecticut from 1995 to 1998. A document of the quartet appears on Six Standards (Quintet) 1996. 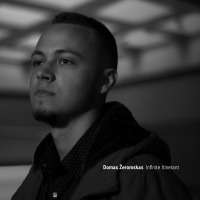 In 1996 Mark was one of the featured soloists in Anthony Braxton's opera, Trillium R.
The death of Liquid Time's drummer Peter LeMaitre shortly before the release of their debut CD spurred Mark to form a series of duos, trios and quartets that he would continue to work with throughout the 90's and into the 2000's. He likes the trio format and has recorded and toured extensively with No Respect - Duval/Rosen/Whitecage and the Mark Whitecage Trio, his bands with bassist Dominic Duval and drummer Jay Rosen. Mark feels he can play anything and go anywhere musically with Dominic and Jay. The band formed in the middle of the 90's and now has seven CDs out -- No Respect/Duval-Rosen-Whitecage, The Paper Trail, Fractured Standards & Fairy Tales and Fractured Again on Acoustics, Common Ground on Hungary's Harmonia label, Split Personality on GM Recordings, and the trio's 1996 debut CD on CIMP, entitled Free for Once. All the recordings feature Mark's compositions interpreted trough the improvisational interplay of the musicians. Since 1998 the trio has toured annually in Europe, appearing at a number of festivals including Festival International de Jazz de Rive de Gier in France, Ulrichsberger Kaleidophon in Austria, Mediawave 2003 and 2001 in Hungary, and Jazzfruehling in Kempten in Germany, among other venues. A larger band Mark writes for and plays in his Mark Whitecage Quartet. The quartet format took shape during Mark's two year tenure with Patricia Nicholson Parker's Improvisors Collective from 1994-95, and has included varied personnel such as Sabir Mateen, Tomas Ulrich, Jay Rosen, Dominic Duval, Chris Dahlgren and Joe Fonda. In the late 90's CIMP released three Quartet CDs, Caged No More, Consensual Tension and Research on the Edge. Acoustics released their latest CD, Moon Blue Boogie, in 2000. 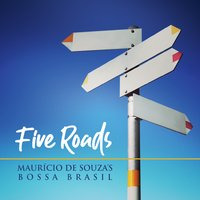 The Quartet was featured at International Festival Seixal Jazz 2000 in Portugal, the Bell Atlantic Jazz Festival in 1999, the Vision Festival in 1996, and did a U.S. tour in 1998. Ever since Mark's late 1960's electronic explorations with Annette Peacock and Paul Bley, which included his performance on electric alto and tenor sax with Peacock and Bley at Lincoln Center in 1970, Mark has wanted to get back to the possibilities of electronic manipulation of his horns. He bought some effects pedals in the late 1990's and found that they gave him another exciting avenue for compositional inspiration and added a host of sounds to his palette. 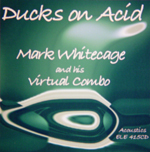 In early 2003 he released Ducks on Acid/Mark Whitecage and his Virtual Combo, a CD recorded in late 2002 in which his clarinet and alto sax trigger a whole array of electronics. He formed the band Electro! in 1999 to perform with like-minded musicians such as Perry Robinson, Chris Dahlgren and Jay Rosen. Mark took his electronics on the road in 2001 when he toured with E-Jam in Austria, an experimental combination teaming Mark with guitarist/midi-guitarist Armin Pokorn and turntablist Virgin Helena. Over the years Mark maintained his collaboration with Oregonian Robert (Mike) Mahaffay after Mike moved back to the West Coast. They sent one another recordings of all their projects and discussed ways they could work together out west. Then when Mark and Rozanne Levine toured the country in 2002 as RoMarkable, The Bi-Coastal Orchestra made its performance debut. Concerts followed in Portland, Oregon in 2004, and in 2005 Mark recorded his spoken opera, BushWacked in Portland with the members of The Bi-Coastal Orchestra - Mike and clarinetist Rozanne Levine, guitarist Scott Steele and pianist Bill Larimer gave Mark exactly what he needed to realize the opera. Mark features his clarinet and electronics in RoMarkable in concert with Bb and alto clarinetist Rozanne Levine. Their close association over the years performing in each other's larger groups, and the inspiration they provide one another, led them to form a touring duo. Mark is also an integral member of Rozanne's group Chakra Tuning, an ensemble that uses her compositions and photographs as inspiration for an unfolding musical journey exploring rhythms, moods and inner space. Mark's clarinet takes center stage in The New Reed Quartet, a collective of composer/performers that includes fellow clarinetists Rozanne Levine, Perry Robinson and Matt Snyder. Their music encompasses the range of clarinets from bass to sopranino. Mark is noted for his compositions as well as his performing and his work with the quartet The Nu Band showcases Mark's compositions and those of fellow band members, trumpeter Roy Campbell Jr., bassist Joe Fonda and drummer Lou Grassi. Formed in 2000 as a composers' collective, The Nu Band has toured the U.S. and Europe and is planning a European tour in the spring of 2005. The group has released two acclaimed CDs, The Nu Band Live and The Nu Band/Live at The Bop Shop. All About Jazz musician pages are maintained by musicians, publicists and trusted members like you. Interested? Tell us why you would like to improve the Mark Whitecage musician page.